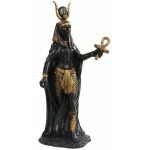 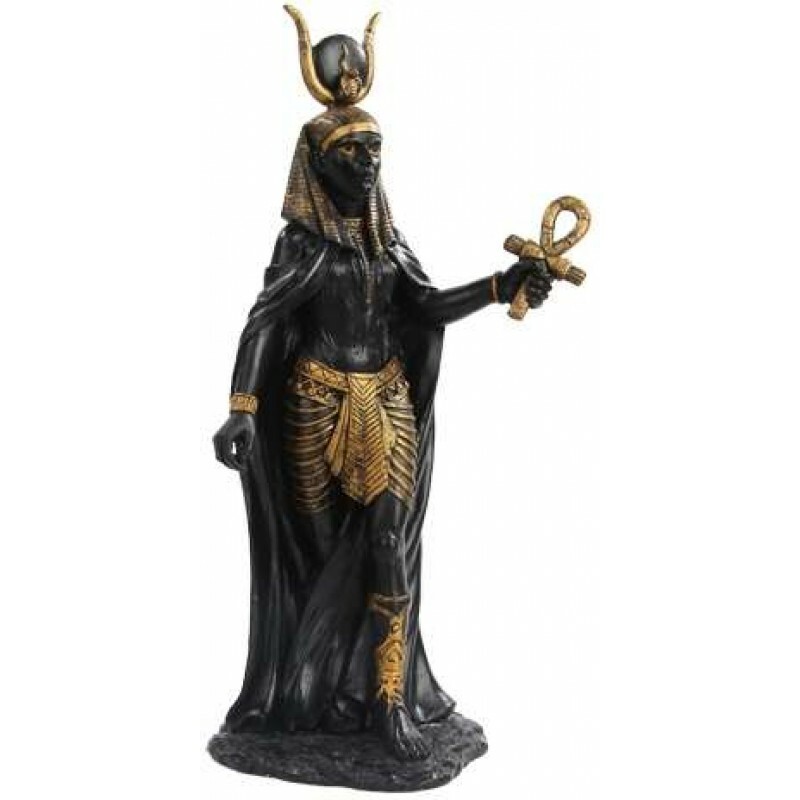 This amazing statue of Hathor, the great Egyptian Mother Goddess is cold cast resin with beautiful detail. 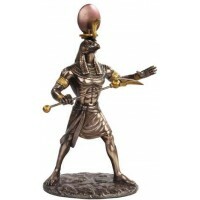 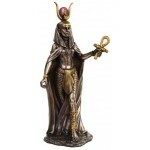 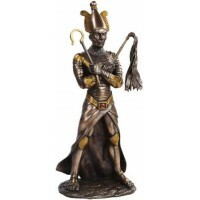 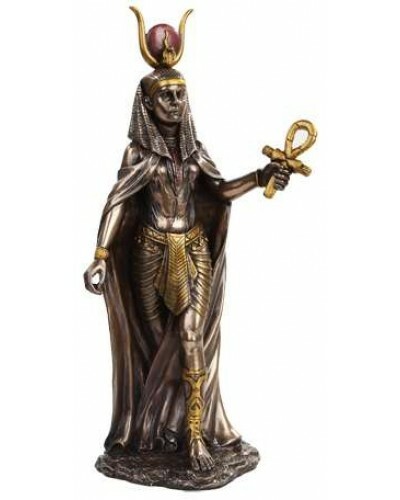 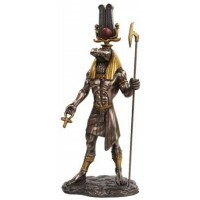 Very finely detailed bronze infused or black cold cast resin statue in 11 inches high with hand painted color details. 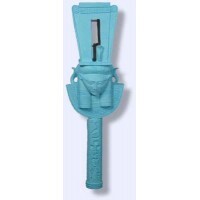 Item Number: PT-9974 | Approximate Size (Inches): 5.00 wide x 3.00 deep x 11.00 high | Approximate Shipping Weight: 2.00 lbs.